Michael Bennett and Doug Baldwin appeared on CNN to discuss the national debate on NFL players protesting during the national anthem. The Seahawks continue to find themselves at the epicenter of the national debate regarding player protests during the national anthem before NFL games. 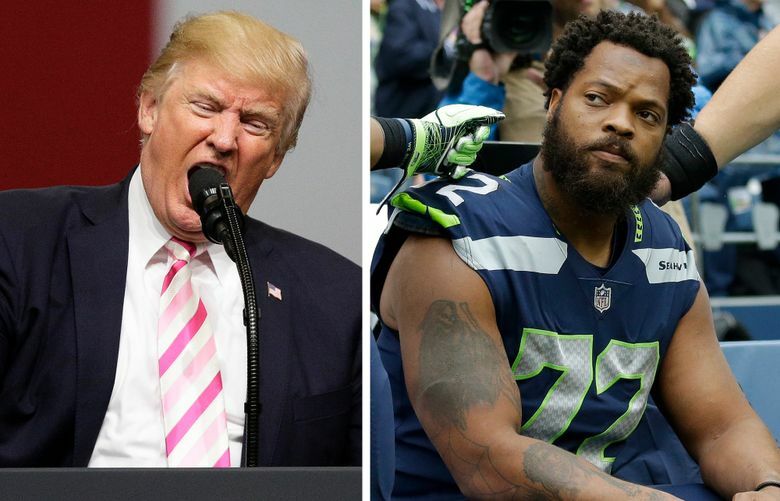 After deciding as a team to stay in the locker room Sunday at Tennessee, defensive lineman Michael Bennett went on CNN on Monday to say he’d like to meet with President Donald Trump regarding the messaging behind their protests. “I would love to sit down with the president and talk about these issues and be able to find a way to fix them, or be able to find a way to have the voice of the people, the people that don’t have the voice that they’re not listening to,” Bennett told CNN’s Anderson Cooper. Bennett was one of a handful of players to protest during the anthem before Trump’s comments Friday during a rally in Alabama. Trump said NFL owners should fire players who protest. Following those comments, more than 200 NFL players knelt during the anthem Sunday. Seahawks receiver Doug Baldwin also appeared on CNN on Monday to discuss the Seahawks’ decision.